That’s become the slogan of an increasing number of the global white-collar workforce. People are unleashing themselves from corporations and companies to plug wirelessly into the wider world. The tribe of this digital diaspora is described and named in various ways—among them, location independent—but I prefer digital nomad. Full disclosure: I number myself among this constituency, breaking the tether to corporate ties last year. I’m writing to you from a somewhat disclosed corner of southwestern Turkey where sugar-cubed-shaped homes tumble down rugged hills toward the Aegean Sea. I can literally see Greece—at least a few of her islands—from my window. I’m certainly not alone, and the community seems to be growing exponentially, reaching what appears to be a tipping point that is ready to push the 9-to-5 workweek into the dustbin of history, along with pet rocks and pensions. “[Digital nomads] don’t subscribe to the standards of previous generations for what defines happiness, what defines productivity, what defines success. I think they’re freeing themselves from the shackles of previous generations,” says Brian Solis, a self-described digital anthropologist and principal analyst at technology research firm Altimeter Group, which is part of the marketing firm Prophet Company. He is also the author of X: The Experience When Business Meets Design. No one has done a complete anthropologic makeup of digital nomadism, but I like the brief history that fellow nomad and now documentary filmmaker Christine Gilbert developed a few years ago, as one way to tell the story. It all started, according to Gilbert, around 1983, with a freelance writer named Steven Roberts. It all started, according to Gilbert, around 1983, with a freelance writer named Steven Roberts. Describing himself as a high-tech nomad, Roberts spent about a decade logging some 17,000 miles aboard a computerized recumbent bicycle that sported solar panels. He supported himself as a writer, portable computer in tow. More than a decade later, Tsugio Makimoto and David Manners published the book Digital Nomad in 1997. Gilbert notes that the authors discuss themes very relevant to today, speculating on where this new workforce might go and how technology will enable its evolution. The rest, as we say, is history: ubiquitous Wi-Fi, Tim Ferriss and The 4-Hour Workweek, PayPal, blogs and now smartphones—an office in your pocket. Today’s digital nomads have spread across the globe, congregating in cheap cities like Chiang Mai in Thailand and Ubud in Bali. They hold TEDx-style conferences in these and other places to promote and propagate their particular lifestyle brand. Startups have risen to provide co-working and co-habitation spaces, creating a sense of community and shared purpose. Solis recalls the dark days following the dot.com bomb, when entrepreneurship seemed to have been snuffed out. He traveled to New York, Los Angeles and Seattle, among other cities, urging workers to emerge from their cubicles and offices and into shared spaces with Wi-Fi. This was perhaps co-working 1.0—mingling not necessarily with co-workers but co-revolutionaries in a new movement. Digital nomad Clayton Cornell has been on the road since 2011. He runs a company that is working to accelerate the adoption rate of solar power, as well as maintains a website with insider tips for travelers and other aspiring digital nomads. He says location independence benefits both employees and employers. “If I’m competing to employ smart people, I can search worldwide, which is a massive advantage both in terms of finding the right fit and (especially for bootstrapping) finding people you can afford,” he writes by email from the Canary Islands, which keeps him in the Eurozone and close to surfing for the winter. “If you're on the other side, maybe growing up somewhere without many good job options, you can also take your job search global,” he adds. Probably not all of them are who you would expect. There are certainly the backpacking millennials—tech-savvy and running a high fever from a bad case of the travel bug, and moving is the only cure they know. But you’ll find Gen Xers on a mid-life gap year (or decade), as well as professionals with full-time corporate jobs and tech entrepreneurs who can start a business as easily from Hong Kong as they can from New York City. Solis sees those who seek location independence as part of a larger seismic, societal shift caused by the eruption of technology. It’s another aspect, he says, of the on-demand, or gig economy that in less than a decade has come to permeate life. Witness the meteoric rise of sites like Upwork, with its 12 million freelancers, AirBnB (valued higher than Hilton Worldwide), and Uber (located in about 300 cities). No hard numbers exist about the size of the digital nomad workforce, but software company Intuit, with Emergent Research, has published a number of recent studies on the rise of the on-demand economy that offers some additional insights. For example, one survey estimates 7.6 million Americans will be regularly working as providers in the on-demand economy by 2020, more than doubling the current total of 3.2 million. In a follow-up study, researchers heard a variety of reasons about why one would choose to enter the gig economy. More than 40 percent of the 4,622 respondents eschewed traditional employment for a chance to be their own boss or pursue freelance careers. And more than 90 percent of those groups cited independence and freedom as the number one reason. 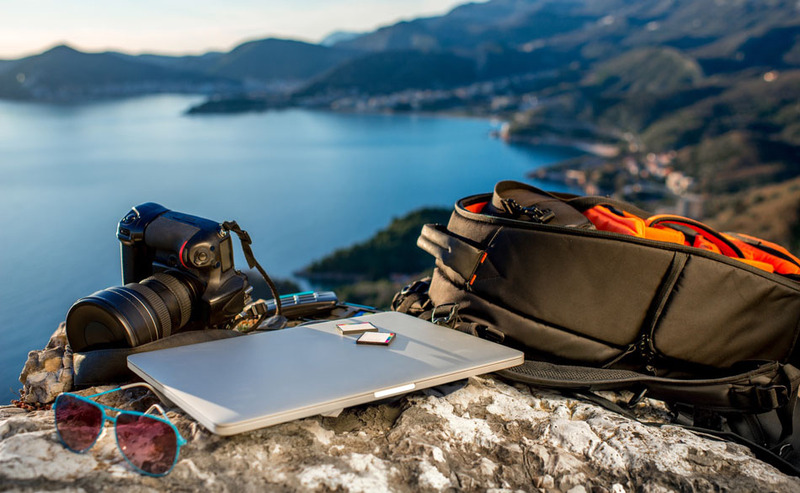 I’ll leave you with a few words from digital nomad Matthew Kepnes, also known as Nomadic Matt, who runs a budget travel website and wrote the book How to Travel the World on $50 a Day. His sentiments echo something else Solis says about how people are choosing their own happiness over convention, swapping experience for consumerism.